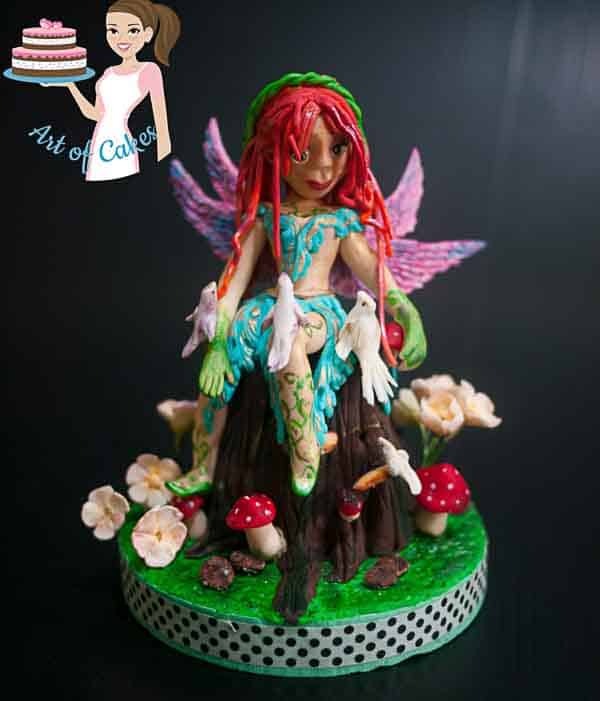 I was so honored to be asked to make a fairy and ship her all the way to Ireland for the Irish Sugarcraft Show. 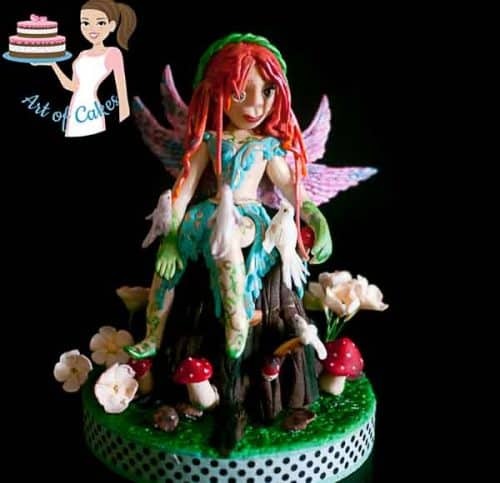 It is amazing that cake decorators from all over the world sent our little fairies to Ireland and the cake decorators there included us in their little International Project. Truly amazing and so honored. This was a special project sponsored by Saracino paste. I just recently got introduced to this new paste and I must say I love working with Saracino modeling paste. and as always I used my trusted Magic Colours. 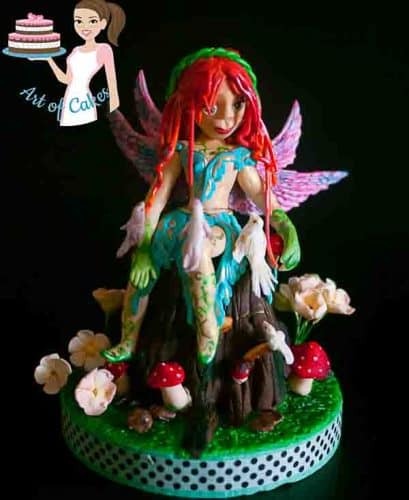 My vision of my fairy was to have her nestled in nature sitting on a tree stump with her mushrooms, butterflies and flowers. So thrilled that she made it all in one piece all the way to Ireland. I hope you found this tutorial useful. Thank you ! !